New Nokia Devices, Nokia 306 RM-767 passed the testing process at Directorate of Post and Telecommunication Indonesia. 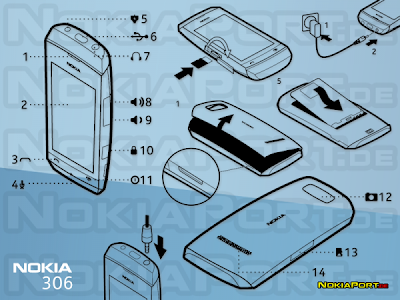 We don't have any information about this new Nokia, but there are several leaked images and specifications of Nokia 306. Several days ago, mynokiablog posted Leaked images of Nokia 306 RM-767 and specifications. Note: this image and specifications of Nokia 306 is unofficial. It can be different with the real product when it launch.